In SBI Net banking you can transfer up to 10,000 to any Bank account without OTP. Yes, you don’t need to enter High-security password while transferring money from your SBI account using net banking. One Time Password is a security password to secure your online transaction. This OTP received on your SBI registered mobile number when you transfer money to someone bank account. without entering this OTP, you can not initiate fund transfer. Without OTP Money transfer in SBI now possible and you can transfer up to 10,000 without entering OTP. For this, you need to disable OTP for fund transfer (10,000 only per day). Before you begin, make sure the person whom you trying to send money is added as a beneficiary by you. Without OTP you can transfer money from your SBI account to registered beneficiary only. After login, click on My Accounts & Profile and open Profile section. Next screen, click on High Security Options. And now select “NO” in Enable High Security for Inter & Intra-Bank beneficiary, Credit card (VISA) beneficiary, IMPS and International Funds Transfer transactions. OTP for Quick Transfer is Mandatory. If you select ‘No’ then you will not receive the OTP for transactions up to ₹10,000 done cumulatively during a day. Ok, now you can transfer money from SBI net banking up to 10,000 without OTP. Please note, it will not work in Mobile Banking. Please note, OTP is the second layer of the password to secure your online transactions so you can transfer money to the added beneficiary only. 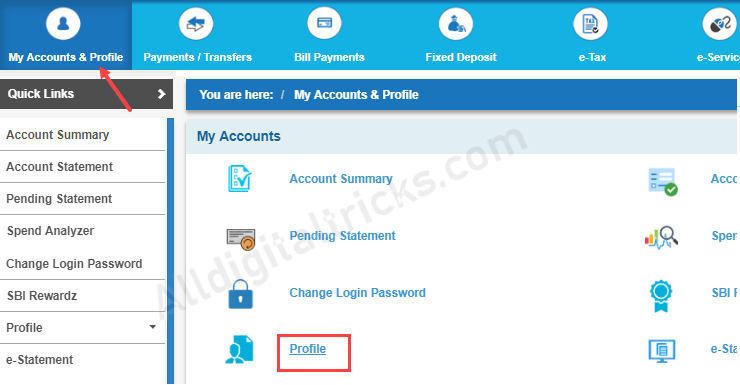 You can also use SBI secure OTP application and receive OTP on the application instead of the registered mobile number.